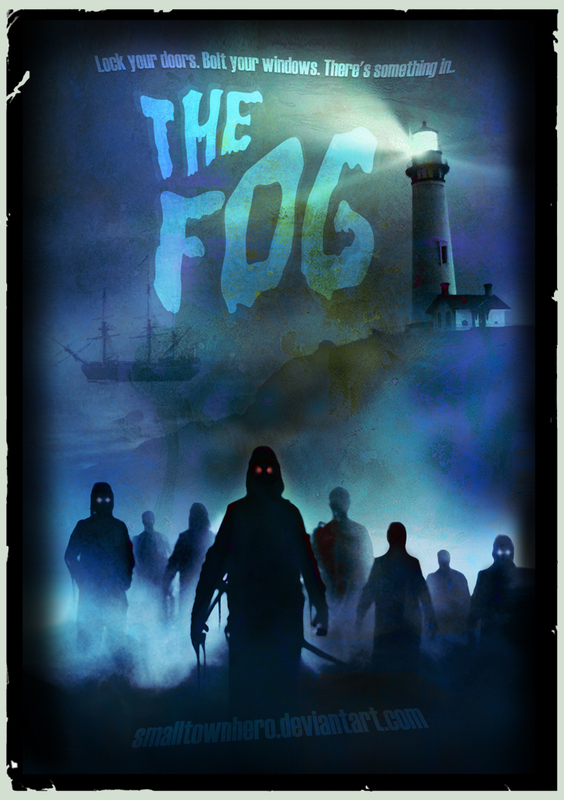 My choice for Carpenter week is his 1980 film The Fog. In the town of Antonio Bay at the time of the town’s anniversary, a fog is setting in. But this isn’t just any ordinary fog. This fog contains evil, revenge seeking ghosts out for blood. Among its potential victims are Elizabeth (Jamie Lee Curtis), Nick (Tom Atkins), Kathy, the mayor, (Janet Leigh), the local priest (Hal Holbrook), and the local radio host Stevie Wayne (Adrienne Barbeau). It is Stevie who first realizes something isn’t right about this fog, and as the body count begins, Stevie frantically tries to get someone to save her son back at her home, as well as save the town, all while being trapped up in the radio tower. What do these ghosts want and who will survive the fog? 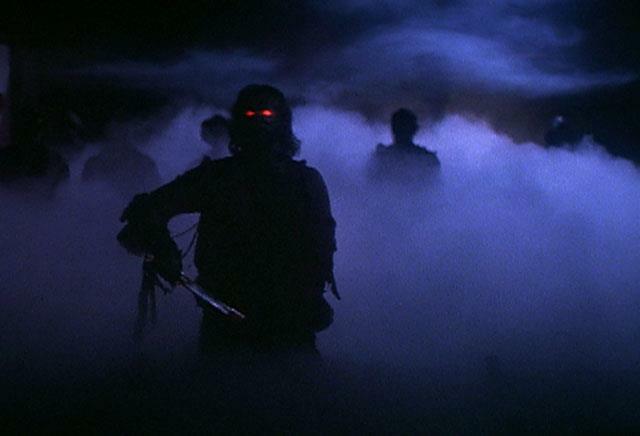 While Halloween is my favorite Carpenter film, The Fog is another one of his films that can’t go unnoticed. The Fog contains an amazing and spooky mood and atmosphere, sandwhiched together with an amazing and creepy score. The ghosts in the film I would even consider very creepy. While watching the film you almost start to fear the rapidly moving fog like the characters do. It’s almost as if the fog has eyes and it’s following its next victims. Two of the best scenes in the film is when Elizabeth and Nick are trying to save Stevie’s son from the fog, the other is Stevie’s chase scene to the top of the radio tower with the ghosts coming after her. Both are filled with great edge of your seat suspense. Adrianne Barbeau by far gives the best performance and has the best character. It’s also very interesting to see some familiar Halloween faces including Charles Cyphers, Nancy Loomis, and of course Jamie Lee Curtis. We even get Jamie’s mother, and Psycho vet Janet Leigh thrown in the mix. I said once in my review of it before, and I’ll say it again. STAY AWAY FROM THE REMAKE!! It completely takes away everything effective about the original. There’s not suspense or decent score, the plot is messy, and the whole film is CGI filled, including the ghosts. The ghosts are actually scary here because they are played by real people and not created by technology. Of all the horror movies I’ve seen, no one can create suspense and a great creepy atmosphere like John Carpenter. Wes Craven (my favorite horror director) may know how to make an excellent and fun-filled horror film, with some good suspense but it is Carpenter who can really bring on the chills.